I've seen a lot of Smart Plugs for sale online like the ones below. Do they exist? If so, where? If not, why? UK: Lightwave. Particularly the LW260 1 gang socket, LW270 2 gang socket and the L42 2 gang socket seem to be what you were looking for—a smart plug socket without any bulky extrusions. With regard to legality, Lightwave say, "All Lightwave devices are safe and legal to DIY retrofit in your own home"
USA: The iDevices Wall Outlet, which claims to be "the only Wi-Fi® enabled in-wall outlet featuring HomeKit™, Alexa and the Google Assistant compatibility". 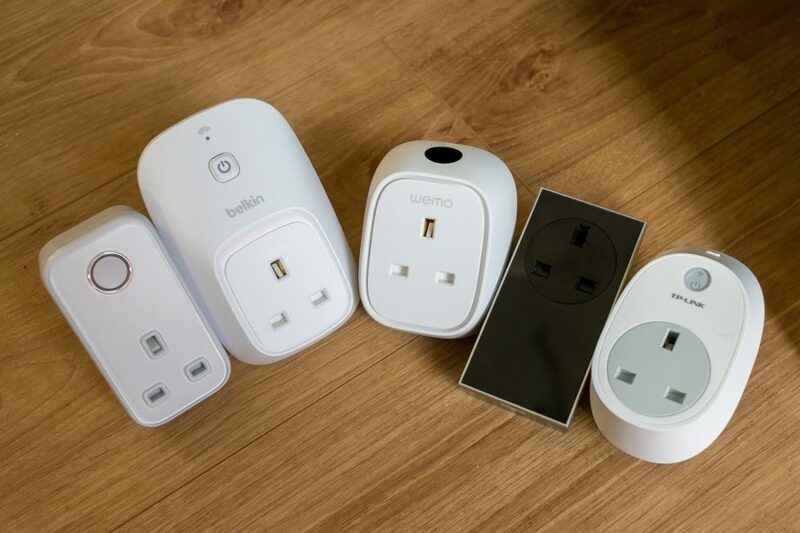 I'm certain that there are several other products on the market; they tend to be advertised as either "smart sockets" or "smart (in-wall) outlets" or other words to that effect. It is worth doing your research if you do find a manufacturer to ensure that the products are safe and legal in your area. There is also a company called "Allterco Robotics". They introduced the "Shelly". This is a very small piece of ESP8266 Hardware and some open source software. You can place them behind your existing plugs and control your plugs via WiFi afterwards.